If you comment out the variable declarations like this, your macro will still work. Because you haven't explicitly declared HeroName and HeroRating, VBA will create them on the fly for you, giving each the type Variant. So far, so good? The problem above could be avoided so easily, if you could just tell VBA that wherever you use a variable, you have to declare it. Read on! The result of running the macro. 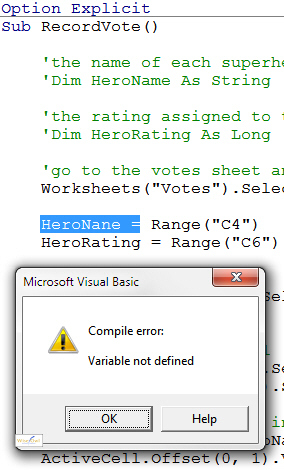 VBA highlights the variable you've misspelt, and tells you that it's not defined. Given that forcing yourself to declare all variables like this is such a good idea, how can you avoid having to type in Option Explicit at the top of every new module you create? Here's how! 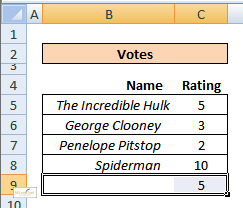 From the menu within VBA (not Excel) select Tools -> Options. 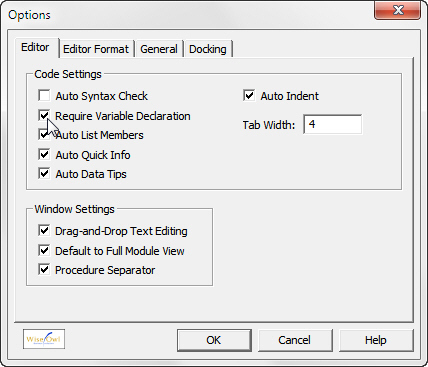 Tick the Require Variable Declaration box shown below. From now on, every time you create a new module it will have the words Option Explicit at the top, and you'll have to declare any variables that you use.